I had been looking forward to riding this bike for weeks now and first impressions were good. It didnâ€™t have the same speed as the Whippet on the flats but when it came to climbing it didnâ€™t disappoint. However, where the 456 comes into its own is on the single tracks and descents. This bike was built for narrow UK trails and it is so much fun to ride. It really feels like you can ride over anything. The downhills were really fun too. Point the bike where you want it to go and it will fly. I was a bit unsure about the length of the top tube and how it would affect the ride but it really helps on the descents. Tall boy Adrian was happy to have a 20â€ bike to ride and pedalled a repectable 1 min 10 to fill in time between BBQâ€™s. In his words it â€œclimbed brilliantly and with gravity on your side it swallowed up the ruts and roots and gives you bags of confidenceâ€. The bike also jumps really well. Hooking it off a big banking the bike feels ultra stable in the air, really well balanced and ultra comfortable on the landings. Overall it just felt a lot more stable and more of a convincing ride than the Whippet (below) although the Whippet was more suited to the type of course we were riding. My first impressions of the Whippet were very good. The bike set off really fast and responsive. The first stretch of the course was on grass which normally drags but the Whippet was really fast. Then the climbs came. Again it responded really well. On the this bike you can just crank down and pedal and it just climbs. If Iâ€™m going to be honest I felt a bit unsure about the flat/narrow bar set up but it was surprisingly agile and responsive through the single tracks. However we all felt the need to hold back on some of the descents due to the riding position and the short travel althoughh it still felt positive and the give in the rear end made the ride comfortable. I actually put my fastest time in on the whippet but probably due to my severe unfitness in the following laps. I think I would like to try the whippet with a wider bar and slightly longer travel (100mm) and I think it would be a lot faster on the down hills. All in all for an XC machine I was very impressed with the speed and response of the bike. For a lightweight racing bike I think itâ€™s a real winner (we're aiming to hit the magic 20 lbs weight on this bike in the future). 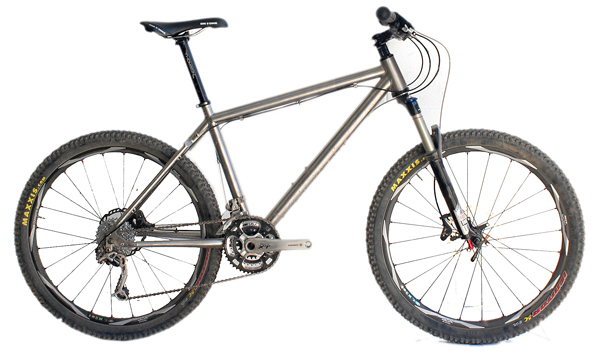 I have never ridden a titanium bike before and was interested to see what they felt like. 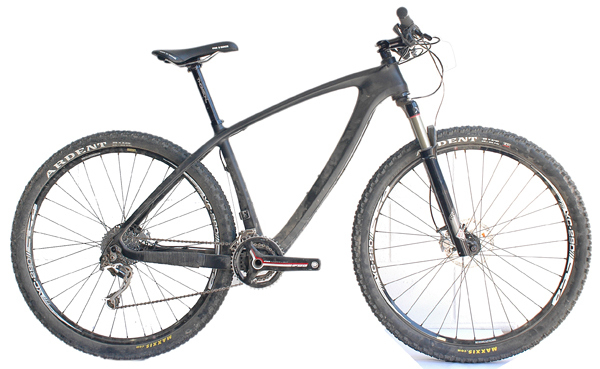 Although the Ti has the same geometry as the Carbon 456 it felt like a totally different bike. Riding characteristics were pretty much the same as the carbon on the flats and uphillâ€™s but when it came to the downhills and single-track although it handled very solidly it did kick back a little more which I didn't expect. Adrian chanced his arm with a midnight lap- not a scientific test, in the woods, in the dark, with an Owl for company - but the bike â€œfelt good - little or no difference to the Lynskey builds - if anything the back end is a bit more resilient. Its a more mellow ride than the grrrr go faster carbons - its a more rhythmical pedaling styleâ€¦â€. All the bikes are designed for a different purpose and type of riding and they all excel in what they are designed for. I have to say the Carbon 456 is my personal weapon of choice. For an all round bike it can do anything. But Ii you are after something more specific for a certain type of riding then I would definitely go for one of the other bikes. It was pretty evident that the Whippet was the fastest bike of the weekend with a time of 54min held by â€˜dark horseâ€™ Denby the frame painter. Closely followed by the 29er of 58 minutes held by new boy Jamie Oliver. The 456 carbon and Ti were pretty closely matched with times of 1hr 3 mins. The camp pretty much decided the Whippet was the best on the day for that track however most people agreed they wouldnâ€™t want to ride it all day long and would steer more towards the Carbon 456 as a â€˜do anything go anywhereâ€™ bike. Whatever bike you decide on one thing is for sure you wonâ€™t be disappointed in the performance. Carbon Whippetâ€™s and Ti 456 along with 16 and 20 inch Carbon 456 all due for pre-order within the next month so stay poised for some more great pre-order offers. Weâ€™ll keep you updated. Thought you may like to know that a 29" rigid Inbred came 6th in individual male too... 2nd solo singlespeed. My best lap was 58-minutes and loved every minute of it. Cant wait for a singlespeed version of the carbon 29-er I saw at the show now.